​Tottenham manager Mauricio Pochettino is set to serve a two-game touchline ban and will be fined £10,000 for his behaviour towards referee Mike Dean at full time during the match against Burnley after accepting a charge for improper conduct. 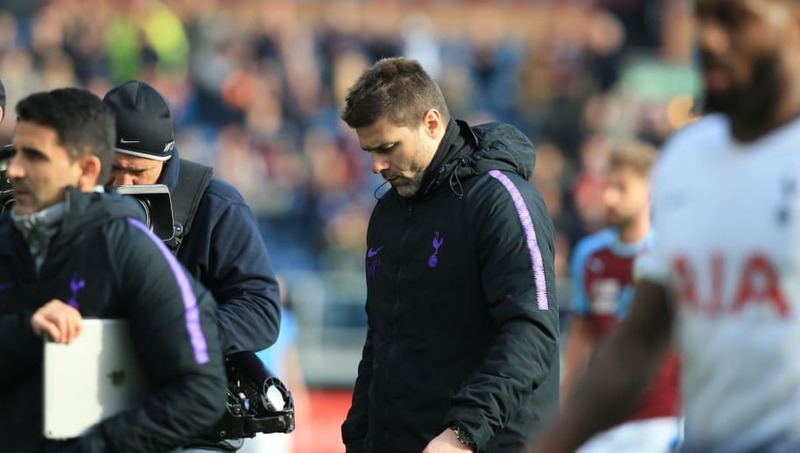 Pochettino's side lost the game at Turf Moor 2-1, and the Argentine was displeased with a number of decisions that Dean made, including the awarding of a corner for the Clarets' opening goal. At full-time, he confronted the referee in a bullish manner on the pitch, before ultimately being dragged away by Phil Bardsley. In an ​official statement, a spokesperson for the FA explained: "Mauricio Pochettino has been fined £10,000 and will serve a two-match touchline ban following an Independent Regulatory Commission hearing. "The ​Tottenham Hotspur manager accepted an improper conduct charge from The FA, which resulted from his language and/or behaviour – both on the pitch and in or around the tunnel area – at the end of the game against Burnley on 23 February." Though the tactician was immediately apologetic, admitting he had "crossed the line" in the confrontation, he has still been punished after he accepted the subsequent charge imposed on him. The 47-year-old is fresh from guiding his team past the top team in the Bundesliga, Borussia Dortmund, in the ​Champions League last 16, with a 1-0 win at the Westfalstadion earning them a 4-0 triumph on aggregate. They are now set to be part of the draw for the quarter finals for only the second time in the Champions League era and the third time in their history.